Welcome to A Precious Pet Resort, located in Henniker. A Precious Pet Resort provides kennel services to dogs of all breeds; we may also provide boarding services for other pets on a case by case basis. As an independently operated business, we can provide your cherished pet with a clean, warm, and loving home environment with structured play activities and ample yard space. Those who choose to board their dogs with A Precious Pet Resort can also request that their pet receive grooming treatments from the doggie day spa located on the premises. We invite you to check out the rest of our website and see for yourself the exemplary array of features offered. 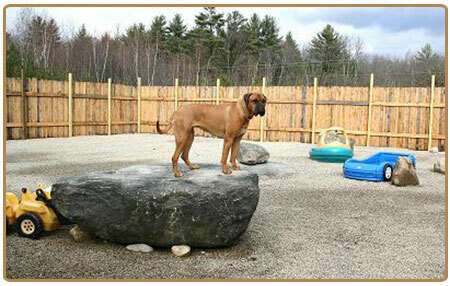 Among our pages, you will find photos of our Henniker based clean, spacious and well-kept kennel, and many of our amazing animal friends. After you've looked over our website and seen which services would best suit your needs, give us a call and let us help you give your pets the love and attention they deserve. At A Precious Pet Resort, every dog has his day! What does A Precious Pet Resort offer to your cat, dog, bird, or small animal? All information provided is provided for information purposes only and does not constitute a legal contract between A Precious Pet Resort and any person or entity unless otherwise specified. Information is subject to change without prior notice. Although every reasonable effort is made to present current and accurate information, LinkNow!™ Media makes no guarantees of any kind.